Get Ready for a a very emotional trip through the workings of Daniel Cavanagh’s mind as he explores events and situations that have had a major impact on him over the years, but don’t worry, this is an album of recollection and regret, not remorse or retribution. It is a very mature work indeed that can stand proudly and comfortably next to the back catalogue of his main band, Anathema. It is rather more driven by piano rather than guitar, but even so still shimmers with beauty and elegance and is a very listenable album indeed. Opening with current single The Exorcist, a brooding slow burner of a song which sets the tone for much of what is to come, it starts with a gentle piano motif before an emotive vocal. It’s a delicate and gentle yet haunting and achingly emotional piece of music with gently strummed acoustic guitar in the mix to hold it all together before drums are added as piano repeats the refrain of “Can you Feel Me? Can you See Me?” in a more urgent manner, very angsty and emotive and very good indeed. A sweeping instrumental part follows, taking the song away to somewhere else and adding real intensity without detracting from what precedes it. It’s a remarkable statement if intent. The Exorcist is followed by This Music which is rather more electronic in form, slowly introducing the shared vocals with Anneke Van Giersbergen which, whilst different to those of Anathema’s Lee Douglas, certainly fulfil a similar role and sound. This track is another that builds in intensity and sound with a concise yet worthy guitar solo supporting matters. Its a brief and welcome track, followed by the brooding wonder of Soho, again featuring Anneke’s fine voice. The second verse features Daniel alone with piano and then Anneke returns, singing “I feel you around me” as the sound bursts forth with a hitherto unvoiced intensity and a chugging riff. It’s stirring stuff, hypnotic and intense in equal measure. After this part the song scales back to more solo piano and other orchestrations, becoming softer again as it enters the final stages, the vocal refrain repeated to sombre effect. Whilst this is an intense song it is ultimately Hopeful and optimistic in outlook, and I feel that Monochrome possibly works best as a late night album; lights down, glass of wine or whisky, whatever, an introspective sort of album but very impressive nonetheless with some lovely crafted music on offer. It is not showy or pretentious but above all it is worthwhile and hugely satisfying. Silent Flight of the Raven Winged Hours follows and is largely piano driven until the 4:30 mark when a lone synthesizer line is introduced, very delicately but effectively, as the song builds in intensity and urgency. It shows rare restraint in avoiding bursting forth and the controlled intensity is very well handled before the lone piano voice is heard again. Few musicians can or do take the gamble of not overplaying and letting the power of the music shine through for itself, and this is commendable as guitar is added to the mix for the last few moments of the song. This is a masterclass of understatement that could so easily have become an overblown and surging monster. Instead we are treated to a piece of music that has natural peaks and troughs, light and dark balanced in perfect harmony, a very impressive piece. What follows is a brief but effective acoustic guitar and violin piece that works well in creating a different vibe, followed by the familiar and more traditionally Anathema sounding Oceans Of Time, and yes, we are on familiar ground here with a song that would have fitted easily into either Distant Satellites or The Optimist. Again Anneke’s voice plays the Lee Douglas part to perfection, being both familiar and yet subtly different at the same time. A wonderful performance by all concerned. I have to say that the more I hear this majestic album the more I like it and it will definitely be in my Top Ten for this year. I’m sure that on this album Daniel has dug deep and faced down several of his own demons, emergingd into the light a better and more positive man than before. It has no doubt been cathartic for him and he has produced an album of deep emotions, hope and beauty, he is to be applauded for his tastefulness and restraint, and for the stirring music herein. The final track, Some Dreams Come True, brings things to a suitably satisfying conclusion with an insistent piano riff, orchestrations and sounds of the ocean creating a very restful and delicate piece that finishes things off beautifully. With a baby laughing and seagulls calling it is a moody and evocative piece that show that hope ultimately triumphs over all else. 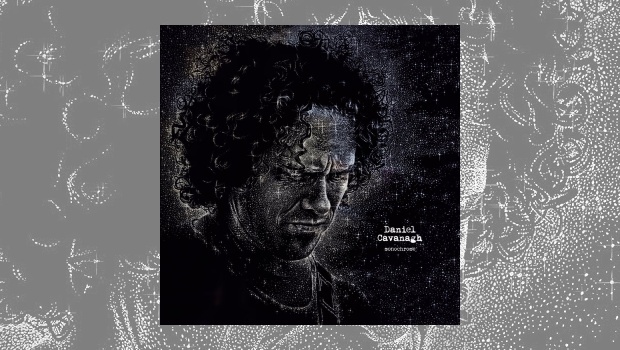 Monochrome is a total triumph for Daniel Cavanagh, simply wonderful stuff and I recommend it very highly.